Microsoft says its Surface devices generate revenue of US$1 billion every quarter, and hopes to raise that number by putting the devices on more corporate desktops. The company is partnering with IBM, one of the world's largest software makers, to write applications specifically for Surface devices. The goal is to tailor Surface devices to meet the needs of financial, consumer goods and retail organizations. The deal is significant for Microsoft, which wants to make Surface devices more attractive to enterprises. IDC expects enterprise PC upgrades to pick up in the second half of this year, and Surface devices with tailored software could appeal to companies. Surface tablets are already used by organizations like the National Football League and Emirates airline. It is one of the better Windows PCs available, but it has had more success with consumers and professional buyers than enterprises. For IBM, the deal is much like the one it struck with Apple in 2014 to develop apps for iPhones and iPads. IBM will acquire more enterprise software customers, and it won't have to worry about supporting the hardware. The IBM custom software will take advantage of unique Surface features, Microsoft said. The applications will revolve around analytics, reporting, employee productivity, management and forecasting. 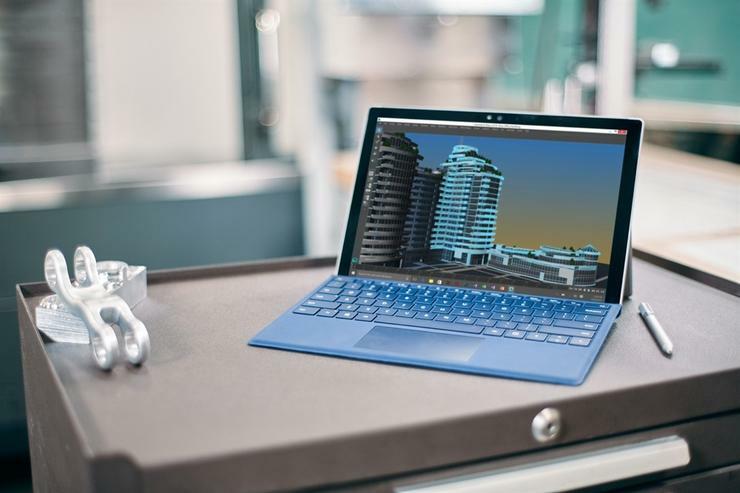 Microsoft also struck a similar partnership with Booz-Allen Hamilton to work on Surface tablets for government, public sector and health-care organizations, with a focus on security and manageability of devices. U.S. government organizations have specific requirements in computers purchased, particularly in the area of security. Further details about the deals weren't shared. Microsoft did not say if it would customize Surface hardware to meet the needs of enterprises. The company currently sells pre-configured Surface tablets, and does not offer the ability to customize an order. The partnerships are part of the Surface Enterprise Initiative, which Microsoft launched last year when it partnered with Dell. The Dell partnership has yielded Surface device sales to 800 enterprise customers, Microsoft said. Microsoft sells the Surface Pro 4 tablet and the Surface Book. It has discontinued Surface 3, the consumer version of the tablet. The company also sells the Surface Hub, a PC inside a large-screen display. Microsoft also announced the Surface as a Service program, in which Surface devices can be packaged with cloud services and paid for on a subscription basis. That saves customers from paying for the hardware up-front. The price is instead broken down into subscription fees over the length of a contract. That will allow users to upgrade hardware faster, Microsoft said.